Stephanie Harper is the head brewer for Islamorada Beer Company's South facility. 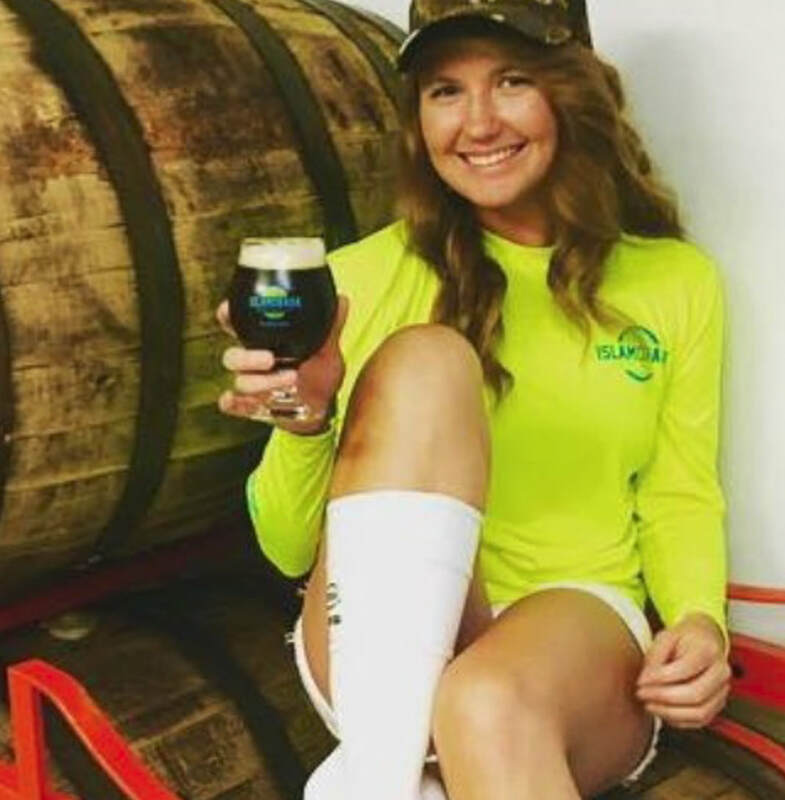 She focuses on recipe development and runs a two barrel system and is occasionally able to head north and work on the thirty barrel system, at their distribution facility in Fort Pierce, FL, as well. She grew up in Newark, Delaware and moved to North Carolina to swim on the swim team for college at ECU. Graduating after four years, she ended up moving to the Keys to pursue a career as a dive instructor and boat captain. When the brewery opened up, she had asked about bar tending and being involved in brewing after having home brewed and volunteer brewing experience in college. She fell in love with it immediately and when she was asked to start full time and run the brewery in the Keys, she couldn't turn down the offer. Now, a couple years later, she's still so happy to be living in the keys, brewing full time and diving for fun!